Carpet is hard to maintain. Carpet is no more difficult than any other flooring option. The best maintenance routine consists of weekly vacuuming and a cleaning every year. This can vary based on the amount of foot traffic. The vacuuming will keep dirt and other particles from getting stuck in the fibers and matting down the carpet. The big area of concern a lot of times is in spot cleaning. With carpet, you do have the potential for stains, but there are several ways to help avoid stains. The best is to clean any spill thoroughly and immediately. The less time that a liquid sits on the carpet, the less likely it will be to stain. If you are worried about staining (like if you have children or pets), several different fibers are stain resistant that you can choose. Also, choosing a carpet that is not white and that has several different colors in it will help to hide any potential stains. Carpet does not work in a house with allergy or asthma sufferers. This is not the case, as long as your carpet is well maintained. Dust, pollen, dirt, and other potential allergy/asthma triggers will get caught in the carpet fibers, which means that there is less of a chance of them floating around in the air. Recent studies have shown that properly cleaned carpet can help with indoor air quality. Carpet is bad for the environment. In recent years, there has been a large push towards greener flooring options, and the carpet industry has not been exempt from this. Synthetic carpet materials, which dominate the industry, are often reused and recycled into new carpet fibers at the end of their life. Many of the carpet lines from major carpet brands, such as Shaw, are made from recycled materials. There are also other, greener options made from natural materials, such as wool. 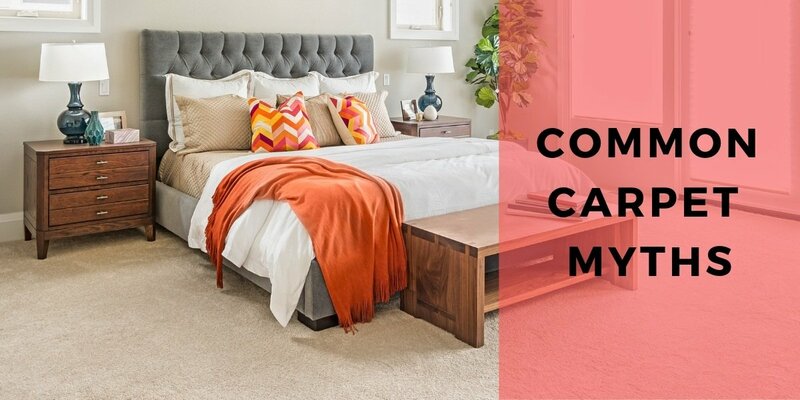 Have more questions about carpet? Give us a call or stop by and let us help you find the carpet or flooring that is perfect for you, your family, and your lifestyle.